Two Sudanese students, along with an activist greatly involved in curtailing the gentrification of Brooklyn, offered impassioned teach-ins on their causes at the potluck. 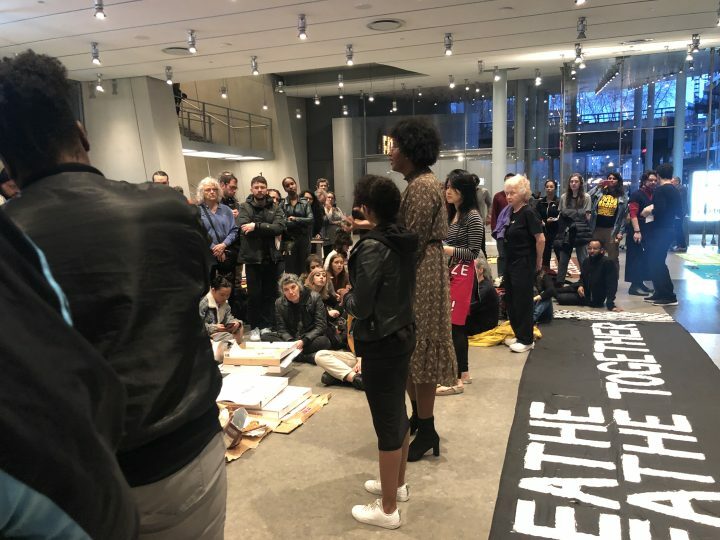 For their fourth week of protest at the Whitney Museum, activist group Decolonize This Place (DTP) and its coalition of grassroots organizations staged a potluck party at the museum’s entrance lobby. 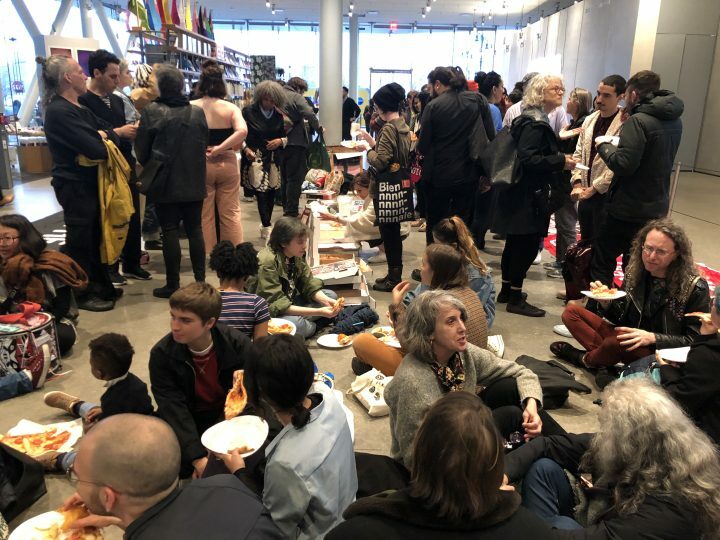 The activists offered pizza and veggie dumplings to protestors and members of the museum’s staff in an action far less boisterous than in previous weeks. In return, they were greeted with a milder security team and a relatively indifferent response from the Friday free pass museum visitors. 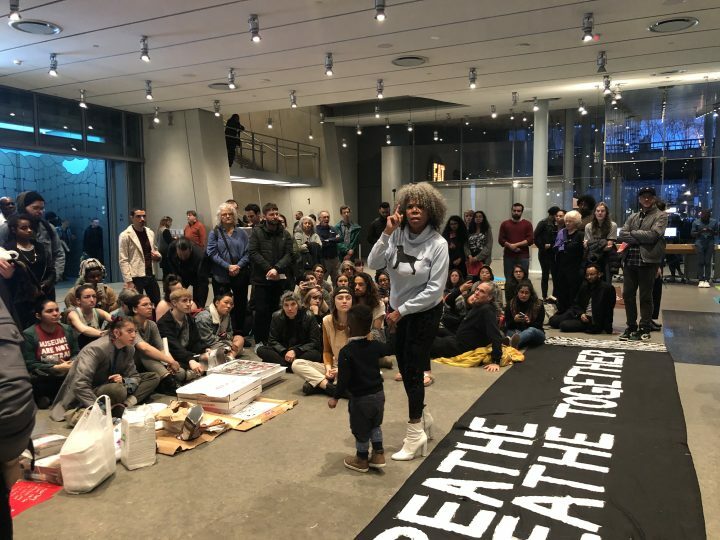 The reason for this week toned-down action, the protesters say, is a desire not to overburden the museum’s staff, some of whom expressed their support of the protest privately. In a “teach-in” conducted by two Sudanese New York University students, attendants learned about the unfolding protests in the African country. “I’m so proud to be Sudanese today,” said one of the students after describing the majority women-led uprising that brought to the ousting of Sudan’s three-decade ruler Omar Hassan al-Bashir. Alicia Boyd from The Movement to Protect the People followed with an impassioned speech on the gentrification of black neighborhoods in Brooklyn. 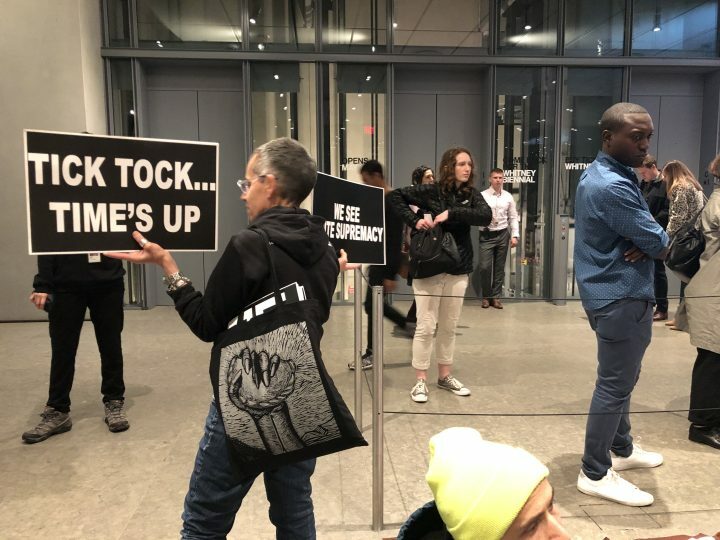 Boyd specifically addressed a new development project near the Brooklyn Botanic Garden which will endanger the garden’s collection of flora, and which markets itself as “affordable housing” despite targeting high-income residents. 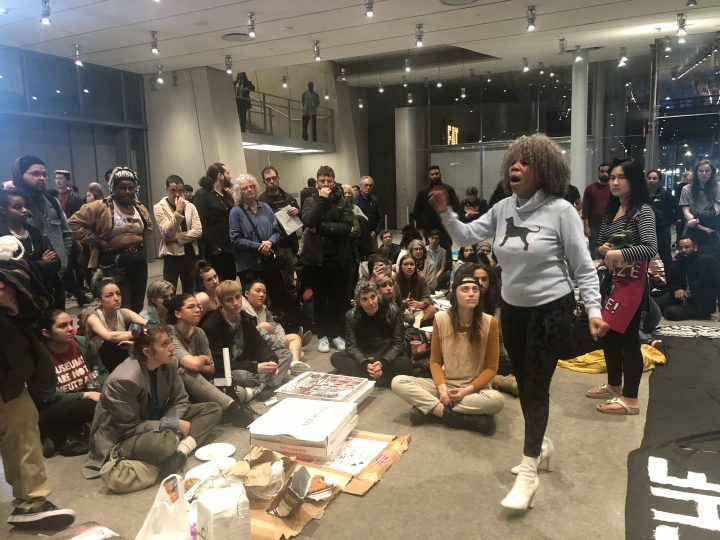 “When we pick up this struggle, we pick it up not for ourselves — we pick it up for our children, for our grandchildren,” an impassioned Boyd told the crowd, while her grandson stood by her side. 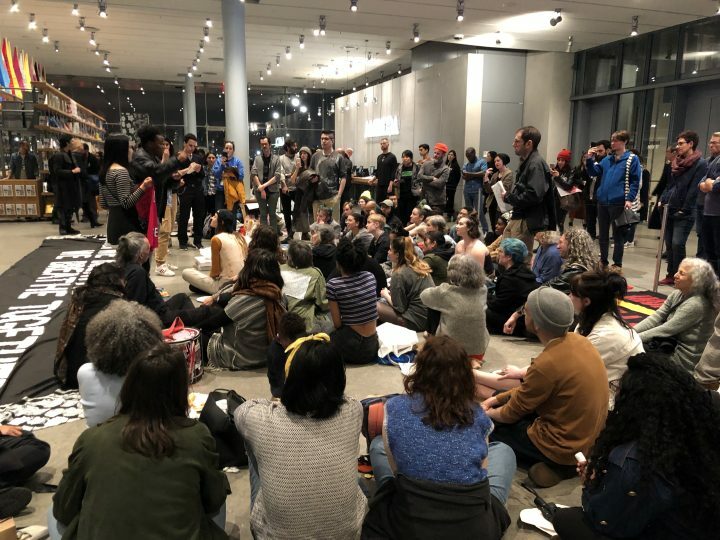 At the base of Nine Weeks of Art and Action, the protestors demand the removal of Warren B. Kanders, CEO and owner of the defense manufacturer Safariland Group, from the museum’s board of trustees. “Whose museum is this to begin with?” asks Husain. 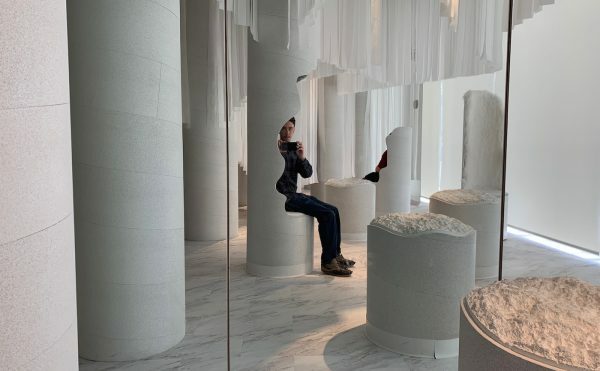 “As a first demand, he [Kanders] has to go; and within that, we’ll have a decolonization conversation with this museum.” Their primary call remains unheeded as the museum prepares for the opening of its 2019 biennial on May 17. A public letter signed by more than 120 prominent scholars and critics before last week’s action amplified the activists’s demands. 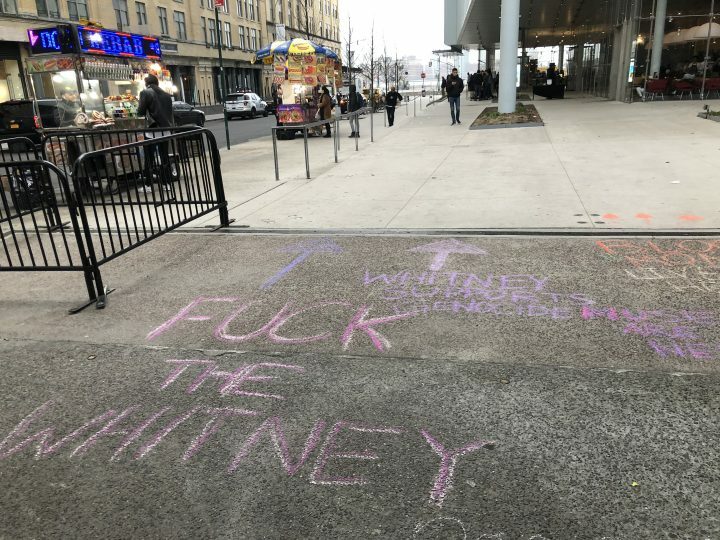 The letter called on the Whitney draws “lines of unacceptability” for trustee participation as the first step in a deeper structural reform in institutional governance. 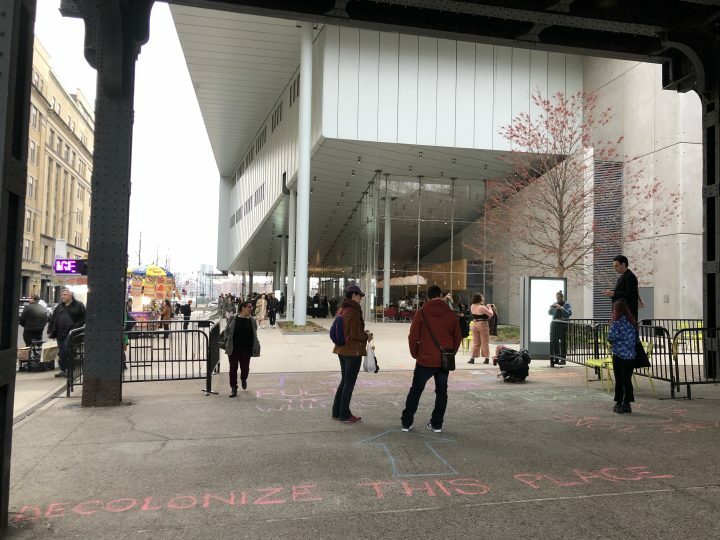 “Places like the Whitney put on good shows, but they don’t share power, they are on stolen land, they are not talking about reparation, they are not paying their staff right … while rich people buy the art and use it to art wash blood money. That’s what Warren Kanders is doing,” Husain said. Last week, Hyperallergic reported that riot control munition produced by Kanders’s Safariland Group was used by the Israeli military against Palestinian protestors at the Gaza-Israel border last Friday. Forensic Architecture, a research group participating in the upcoming biennial, announced that it will probe Safariland’s practices through its contribution. The Palestinian Occupied Territories, the activists announced, will be the focus of next week’s action.